Gladys Hunt reflects on the importance of reading in a child’s life and shares some of her favorite books for encouraging kids to read. 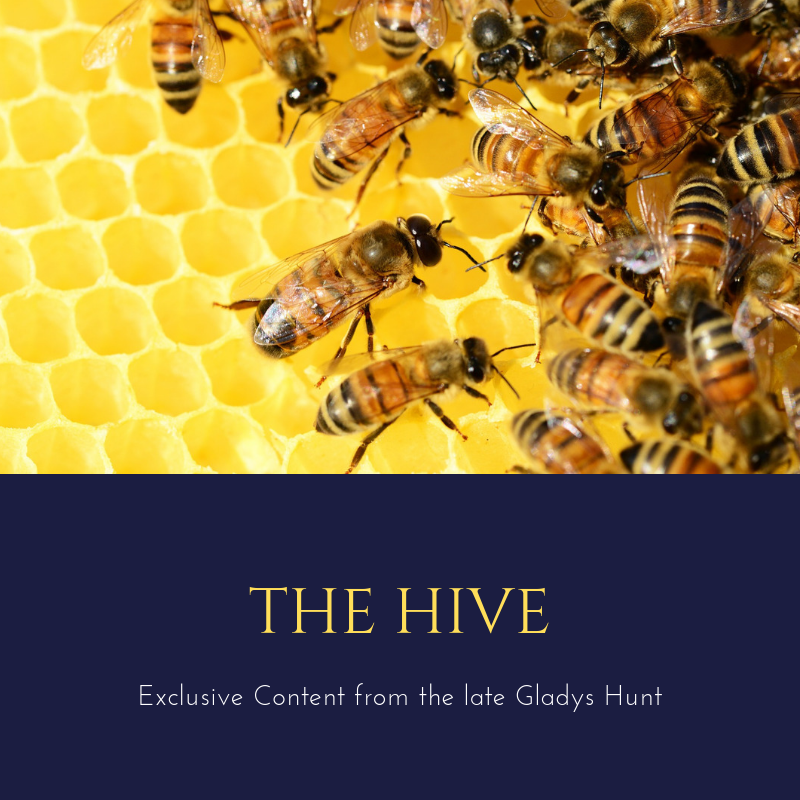 This is the eighth in our series of previously-unpublished blogposts by the author of Honey For a Child’s Heart. Reading to children, taking them to the library and surrounding them with books gives them more than a subtle message. They are born to read! Reading is important. You start reading awareness by noticing letters and words on things like cereal boxes and signs. Choose a letter and display it on the refrigerator. You can find plastic letters that adhere to such surfaces. Along with the letter, find a picture of something that begins with that letter—and also spell out the word. It’s the beginning of understanding that those letters lead to words which lead to reading. Kids begin to catch on quickly. I walked along the beach with our older grandson carrying a book that would help us identify tracks of any animals who had visited our beach during the night. Behind us was his younger three-year-old brother named Austin who was making his own tracks with a stick –one A after another in the soft sand. He said, “That’s so you can identify me.” He got the idea. A is for Austin. 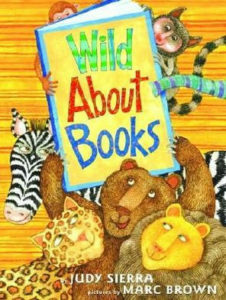 Wild About Books by author Judy Sierra and illustrator Marc Brown is a winner and a wonderful additional to the library of a family that want to promote reading. It’s the story of a librarian who drives a bookmobile into the zoo where all the animals get hooked on reading. The illustrations are wonderful and every time you read it you find something more to notice. Its clever rhymes and animal sounds are fun for adults and children, along with all the subtle humor that parents pick up first. Jamie Lee Curtis and illustrator Laura Cornell have collaborated on Big Words for Little People that explores the fun of using new words. The rhyming text is clever and the colorful illustrations show children how words can be used everyday. Big words like privacy, consequence, cooperate, respect and persevere become understandable by the storyline and illustrations. Adults love this book as much as children. The story concludes that it takes only four letters make up the biggest word of all Love. Get it; you’ll love it. One more suggestion about reading: Amadi’s Snowman by Katia Novet Saint-Lot, illustrated by Dimitrea Tokumbo, transports readers to a village in Nigeria where a boy reluctantly begins to understand the importance of learning to read. Amadi is a reluctant reader, even though his mother hires a tutor, until he sees someone reading about a snowman—something he has never seen. Amadi becomes curious and motivated. Amadi discovers reading is something he really wants to do. This book takes the reader to another culture—an added plus. For more at RedeemedReader, see our reviews of Rocket Learns to Read and Charlie Joe Jackson’s Guide to NOT Reading (will our hero manage to keep his resolve to never read an entire book?) And don’t miss our review of Alan Jacobs’ The Pleasures of Reading in an Age of Distraction. Previous PostLively Lists: a Key Part of the New Redeemed Reader Companion!